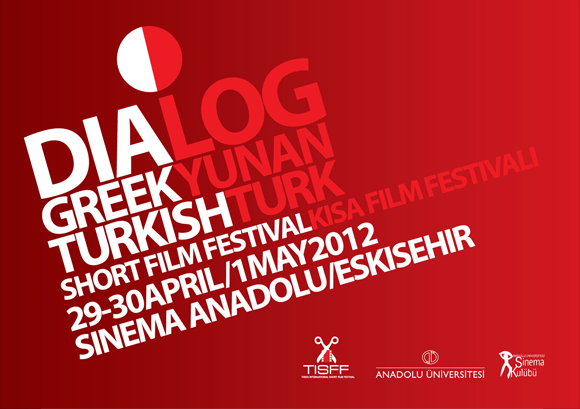 The main layout of Dialog -Greek Turkish Short Film Festival- 29/30 of April 2012 and 1st of May 2012. Dialog is co-organized by TISFF (Thessaloniki, Greece) and Anadolu University(Eskisehir, Turkey). Dialog Short FIlm Festival 2012 Poster by Aggelos Grontas is licensed under a Creative Commons Attribution-NonCommercial-NoDerivs 3.0 Unported License.